Roy Man, CEO of daPulse, was working at Wix.com (today a $1B company) right when they started taking off and, like so many startups, Wix was feeling the growing pains hard. 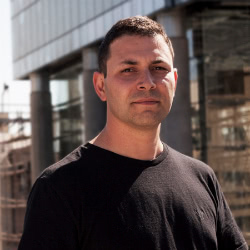 Roy watched as CEO of Wix, Avishai Abrahami, tried to figure out how to keep control of his fledgling company while maintaining that startup feel of collaboration and communication. It was pretty clear that things were rapidly spinning out of control. After trying out a few existing collaboration tools, Avishai turned to Roy for help. Working within Wix, Roy developed a tailor-made tool that worked so well he decided to spin it off into its own company. daPulse is a collaboration tool that lets managers and CEOs know “where the f*** things are,” says Roy. The idea is to show everyone in the company the big picture, i.e. the company’s top priorities at any given moment. This one view for everyone, that’s so different from classic PM software, allows team members to understand how each and every one of them can contribute to the team effort and gets them working together towards the same goals. 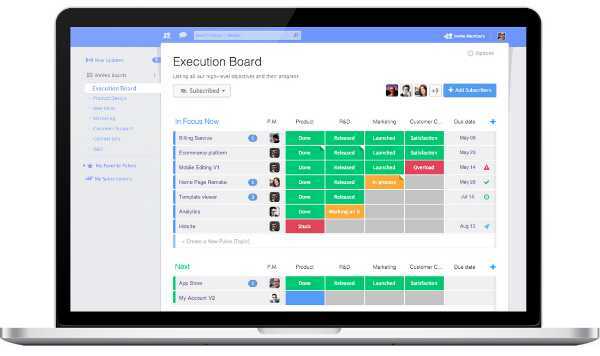 Perfect for startups and other fast-moving-rapidly-growing companies, daPulse utilizes two main tools to keep everyone on sync: the Execution Map and the Pulse. The Execution Map is basically your big-picture overview of what needs to happen and what is happening. Your managers can share what high level tasks need to be completed and also assign teams to specific tasks. The Pulse is for diving a little deeper; you simply click on the activity for a complete timeline of everything that has been done on the project so far. Inside you might find screenshots, design iterations, comments by team members and updates shared by R&D, Product, Marketing and customer support. This allows both managers and each team member to stay on track with what the entire company is focusing on, as well as who is doing what. You can prevent duplicate work and keep everyone focused, even when things are moving quickly. So far, some very cool companies are loving it. daPulse is still working with Wix, that turned to a 600 employees company and a happy paying customer of daPulse. They’ve also acquired a handful of other well known clients, including Fiverr, Conduit, MySupermarket, and UBER. They’ve also raised a $1.5 million seed round, led by Genesis Partners and Entrée Capital, to help them keep pushing productivity for startups worldwide. Speaking of productivity, Roy shared one great hack with me. Roy also recommends Intercom, Optimizely, and Honeybadger. If you want more suggestions from Roy, check him out on the Startups Using Startups app. One of the biggest challenges for any rapidly growing startup is making sure that the big picture stays front in center when you’re focusing on all of the 8 million tasks that need to be completed each day. The irony of that is, of course, that without that big picture, you’ll never make it. Get your company on daPulse today and ensure startup success.